Welcome to the KHROMIS website (“Site,” “we,” “us,” or “our”). KHROMIS provides this Site as a service to its users and customers. Please read the following terms and conditions and policies or documents to which a link is provided in them in the English language (collectively, “Terms and Conditions”) as they govern your use of our Site and all orders submitted by you for any of the products or services made available by us for purchase over the Site. By accessing and using this Site, you agree to follow and be bound by these Terms and Conditions. If you do not agree to any of the Terms and Conditions, please do not access or use this Site in any way. KHROMIS reserves the right to modify and update the Terms and Conditions from time to time without prior notification. Site users must agree to and abide by these modifications and updates so please review this page periodically for changes. Any use of our Site at any time constitutes your full acceptance of our Terms and Conditions. We may change, withdraw, deny or suspend access to our Site (in whole or in part and permanently or temporarily) at our sole discretion with or without notice and with no liability to you. These Terms and Conditions were last revised on January 2018. KHROMIS is a retailer of designer eyewear made with high quality materials. All of the content that appears on the KHROMIS website, including all trademarks, logos, visuals, text, data compilations, graphics, icons, images, photographs, audio and video clips, sounds, music, software, and any combination thereof, are subject to copyright protection and/or other intellectual property rights or licences owned by or granted to KHROMIS (as the case may be). Subject to these Terms and Conditions, KHROMIS grants you a limited, revocable and non-exclusive licence to access and make personal use of the content on this Site. The content of the KHROMIS website is intended solely for your personal and non-commercial/non-business use. All our rights are reserved. You cannot access or use the KHROMIS Site for any illegal or unauthorized purpose. Harassment in any manner or form on the Site, including via e-mail and chat or by obscene or abusive language, is strictly forbidden. Although KHROMIS cannot monitor the conduct of its users at all times, it is a strict violation of these Terms and Conditions to use any information obtained from our Site in order to harass, abuse or harm another person, or in order to contact, advertise, solicit or sell to any user without his/her prior explicit consent. KHROMIS strives to create an interactive relationship with users of its Site, products and services so we may ask you to provide comment or information. Any material and information that you upload onto our Site will be considered non-confidential and non-proprietary (except those relating to your sales transactions) and KHROMIS shall have the right to use, copy, distribute, reproduce, exploit, modify, alter and/or disclose to third parties any comments, feedback, suggestions, ideas, and other materials or submissions disclosed, submitted or provided by you to KHROMIS on or via this Site. Furthermore, KHROMIS shall be under no obligation: (1) to maintain any of your comments in confidence; (2) to pay you or anyone else any compensation for any comments; or (3) to respond to any user comments. KHROMIS has the right to remove any material or posting you make on our Site at our sole discretion. You agree that no comments or other submissions submitted by you to the KHROMIS website will violate any right of any third party, including copyright, trade mark, privacy or other personal rights. You further agree that no comments submitted by you to the Site will be or contain libellous or otherwise unlawful, abusive or obscene material. You are and shall remain solely responsible for the content of any comments that you make and any material and information that you upload onto our Site. KHROMIS endeavours to ensure that the functionality of the Site and its content are accurate and complete but we cannot guarantee that that this will be the case at all times. The information on the KHROMIS website may contain typographical errors or inaccuracies. We reserve the right to update any information we see fit at any time without prior notice. Please note that such errors may relate to product information, pricing and availability. In these instances, we shall have the right to cancel or terminate any orders involving pricing errors or inaccuracies. We apologize for any inconveniences. KHROMIS does not guarantee that the Site or its content or the servers that make such content available are free of viruses, malicious code or other components which are potentially harmful. We recommend that all users of the Internet ensure they have up-to-date virus checking software and firewalls installed. By using this Site, you agree to indemnify and hold KHROMIS (and its officers, directors, agents, subsidiaries, affiliates, joint ventures, and employees) harmless from any claim or demand, as well as losses, expenses, damages, costs and liabilities, resulting from your use of the Site, any violation of these Terms and Conditions, any activity related to your account or any information you upload to our Site. To improve our Site, KHROMIS may use and promote products or services provided by other third parties. However, even if the third party is affiliated with KHROMIS, we do not control their products or services and make no representation regarding those persons or entities or their products or services. We are not liable or responsible for the availability of the linked websites, and is not liable in any way for the accuracy, completeness, timeliness, reliability or availability of, any such third-party websites or their products or services or advertisements or what/how they collect use and store your personal information. Third parties’ sites linked on our Site have separate privacy and data collection policies which you should carefully review and you access or use them entirely at your own risk. We are not responsible or liable for any offence, loss or damage of any sort caused by or connected to the use or reliance on such third-party websites or the content thereon. To the maximum extent permitted by applicable laws, all contents, products, services and advertisements on the Site, or obtained from a website to which the Site is linked (a “linked site”) are provided to you “as is” without any guarantee or warranty, and KHROMIS makes no warranties of any kind, either express or implied, including but not limited to, any express or implied warranties of correspondence with description, correspondence with sample, merchantability, fitness for purpose, satisfactory quality, health and safety, title of intellectual property rights or non-infringement of third parties’ rights. Use of the product by a user is at the user’s risk. To the maximum extent permitted by applicable laws, KHROMIS shall not be liable to you for any direct, indirect, incidental, special, consequential or exemplary losses and damages that result from our products or services or the contents on this Site (even if KHROMIS has been advised of the possibility of such damages). Subject to the above, the aggregate liability under these Terms and Conditions whether arising under contract, tort (including negligence, breach of statutory duty or otherwise) shall in no event exceed 100% of the price of the product(s) you have ordered from KHROMIS. We reserve the right to transfer, assign, novate or subcontract all or any of our rights and obligations under these Terms and Conditions. You may not assign, subcontract or otherwise transfer any of your rights and obligations under these Terms and Conditions without our prior consent in writing. Each provision of these Terms and Conditions shall be construed separately and independently of each other. If any provision is deemed or held invalid, void or otherwise unenforceable, that provision shall be deemed severable from and shall not affect the validity and enforceability of any of the other provisions of these Terms and Conditions. These Terms and Conditions and all transactions relating to the Site are governed by Hong Kong laws, and KHROMIS and you hereby submit to the exclusive jurisdiction of the Hong Kong courts. These Terms and Conditions and any document expressly referred to in them constitute the entire agreement between us and supersede any previous arrangement, understanding or agreement between us, relating to the subject matter or any contract. Any contract of sale between KHROMIS and you via our Site will be subject to the version of the Terms and Conditions in force at the time you order the product(s) in question from us. All information on our Site is an invitation to treat only and is not an offer or unilateral contract. When you place an order with KHROMIS via our Site, you are making an offer to buy our products on our Terms and Conditions. All orders submitted by you are subject to acceptance by us. After receipt of your order we will send you an order acknowledgment email detailing the product(s) that you have ordered and their price(s). If you do not receive such an email within 24 hours of placing your order, please contact our Customer Service Team by email at customerservice@khromis.com. Our order acknowledgment email is an acceptance of your order. Acceptance of your order and formation of a contract of sale of products will only take place after we have received and confirmed/validated the credit card authorization or payment method for your order and sent an order acknowledgment email to you. We will then send you a dispatch confirmation email when the product(s) you ordered have left our warehouse. If your order has not been accepted, you will receive an email from us telling you the reason(s) why. This can happen, for example, in the case of prescription eyewear, where the required details have not been filled out sufficiently to fulfil your request, if this is the case our Customer Service Team will be in touch to resolve the issue. This can also happen if your payment is refused by the issuer of your credit card or payment method in which case we will not be liable for any delay or non-delivery. Please note that an order cannot be cancelled after we have accepted it. If your credit card or payment method is not denominated in the currency of your purchase indicated on our Site, the final price may be charged in the currency of your card or account as calculated by your card issuer or bank or payment method provider. In the unlikely event that the products are no longer available, or that we have made a pricing mistake, we will advise you of this accordingly. If the products you ordered are no longer available, we will process a refund for you. We will not be obliged to supply product(s) to you at an incorrect price. Please note that the fact that certain goods are depicted in the Site does not guarantee that they are available for purchase. The level of stock availability shown in our Site will be updated regularly but it does not guarantee that the product checked will be available for purchase. We have tried to make shopping with KHROMIS as easy as possible, for example you can search/filter by type of product, material or shape. Please note that due to variations in the manufacturing processes and/or the display properties of the computer hardware that you use to view our Site, there might be very minor variations in colours, measurements, materials, fabrics, and designs of product(s) and packaging(s) displayed on our Site and the product(s) delivered to you. Unless otherwise stated, all prices of products stated in our Site are the price for the product only, and do not include delivery charge, customs duties, VAT or other tax payable. If you would like to place an order, you can do so in few easy steps. Firstly, you must register an account with us. You will then be given a unique personal log-in name and password combination by email. Your personal details will be stored behind your log-in name and password and can only be accessed and changed by you. As soon as you have a log-in name and a password, you can place your order. Our provision of a unique personal log-in name and password to you is conditional on you ensuring that such access information is kept secure and confidential at all times. You agree that the information you provide when you register on our Site is not misleading, and is true and accurate in all respects and you will notify our Customer Service Team by email at customerservice@khromis.com of any changes to that information. 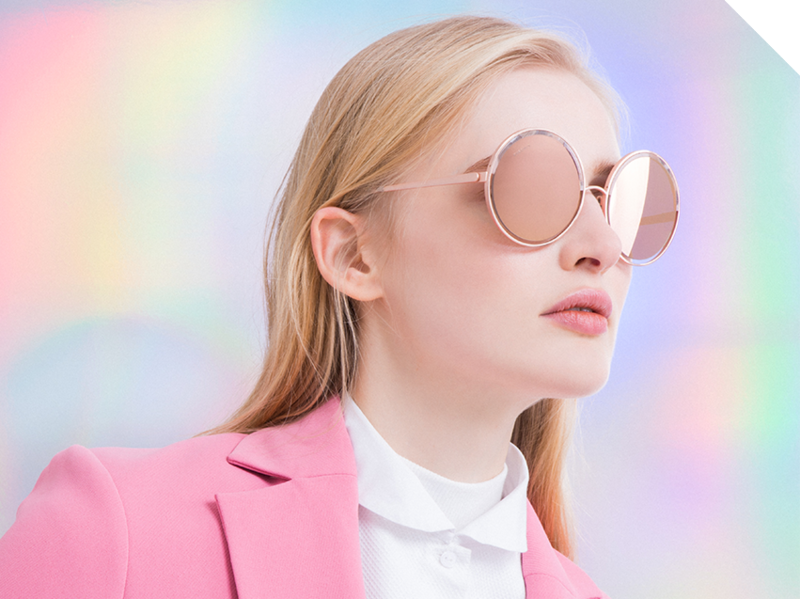 If you wish to place an order, select the desired pair of eyewear, including your chosen colour, prescription (if applicable) and press the “Add to cart" button. When you have finished shopping, click on the "place order" button. This starts the payment process. Check your details carefully and enter the address you want your order to be delivered to. Once you have placed an order, it will then be confirmed by email. Please check your order, your prescription (if applicable) and the confirmation thoroughly. It is important that you give a correct and personal email address when you register in order to avoid errors. Please make sure that your SPAM filter does not cause you to not receive our messages. You are solely responsible for any abuse of your account such as when someone else places an order using your password. When placing an order, you agree that these Terms and Conditions shall apply to each such order. If you suspect your account is being abused, please contact Customer Service Team by email at customerservice@khromis.com. Please note that we only ship to certain selected designations, please check our Site from time to time. When your confirmed order has been shipped, we will send you a dispatch confirmation by email. This will include a tracking code which will allow you to track your order directly with the courier. The place of delivery is deemed to be the shipping/delivery address that you provide in your order. If you have provided us with a wrong address or would like to change it, please contact us within 24 hours of placing your order. Unfortunately, we are unable to change the delivery address after this period of time. We cannot be held responsible if the shipping/delivery address that you provided is incorrect or incomplete. We strive to dispatch your order within 3-5 business days if no prescription lenses are required or 5-7 business days if prescription lenses are required although we are unable to guarantee this. All Items in stock will be delivered within a maximum of 14 business days upon the confirmation of your order. It is important that you give the correct address when placing the order. Please note that we do not deliver your order(s) to a Post Office Box. If the goods are lost or damaged in transit, please let us know within 10 business days from the day of the dispatch confirmation email, so that we can make a claim against the delivery courier. We will offer you the choice of a replacement or a full refund. Please see the “Return” page for further details or contact our Customer Service Team at customerservice@khromis.com. We also offer free collection from our Flagship store. Please select to collect from our Flagship store in the checkout to collect the purchased goods in person. We will email notify you once your order is ready to be collected at our Flagship store. Please refer to the “Flagship” page for details of our Flagship store. 2. the date and time of collection of such product(s) for delivery to your nominated address or designated KHROMIS store (if applicable). 2. the collection of such product(s) by you or a third party on your behalf from the designated KHROMIS store (if applicable). In the unlikely event that you are not 100% satisfied with your eyewear (with or without prescription), you can exchange them or replace the prescription lenses within 30 days upon receipt but you may be subject to a Refund Fee and/or a Prescription Lens Fee, as the case may be. Please contact our Customer Service Team at customerservice@khromis.com. In the unlikely event that you are not 100% satisfied with your eyewear (without prescription), you can refund them within 30 days upon receipt but you may need to return the product at your own cost. If you are not 100% satisfied with your eyewear (with prescription), you can refund them within 30 days minus a Refund Fee and a Prescription Lens Fee for the prescription lens, but you may need to return the product at your own cost depending on your location. Please see the “Return” page for further details. We provide one (1) year warranty on all our products from the date of purchase. If the goods are found to have manufacturing defect within the warranty period, you will be entitled to a replacement. Please contact our Customer Service Team at customerservice@khromis.com to discuss the matter further. No claim for faulty goods can be made if any of the following applies: damage caused deliberately, recklessly or negligently, improper use, improper or careless or lack of maintenance, normal wear and tear, damage caused by not heeding or incorrectly heeding to our care/cleaning instructions. Clean the lenses of your eyewear with the microfiber cloth included in your package. If necessary, use lukewarm water and liquid (non-acidic) soap. Then dry with a dry, clean cloth (not paper towels). Do not use wipes with alcohol or other corrosive substances in it as this may damage the lenses coatings. Do not leave the glasses in areas where high temperatures may be reached such as on the dashboard of a car or in direct sunlight for long periods as the frame can deform and damage the lenses. KHROMIS products made with high quality materials that comply with EC directive 93/42 and EEC directive for optical frames, and EC directive 89/686/EEC for sunglasses. In the unlikely event that our product causes any discomfort or allergies to your skin, immediately discontinue the use and consult your physician. KHROMIS sunglasses are designed and manufactured for general use. The product is made so as to assure adequate protection against solar radiation. 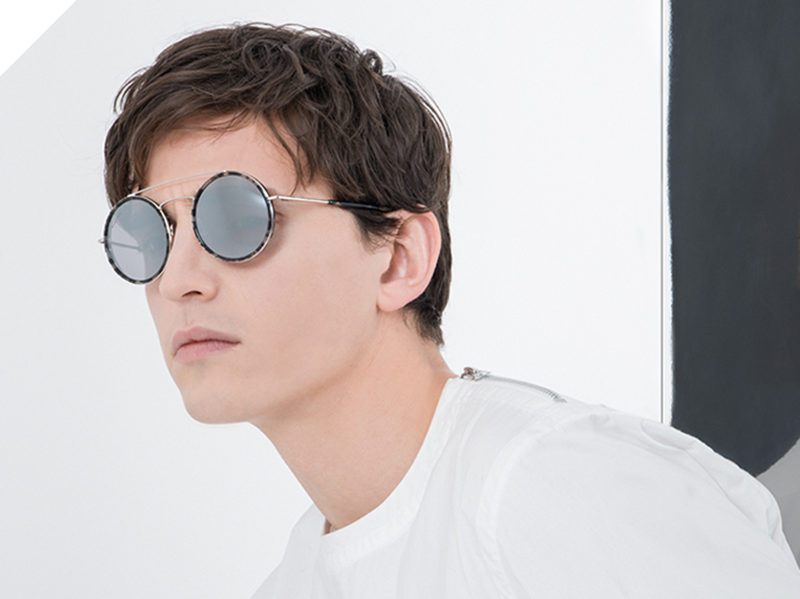 Due to the delicate nature of our high-quality materials, each product will be supplied with a protective eyewear case, pouch or a wrap to fit the purchased product. The product must be kept in the appropriate case supplied, protecting the lenses and frame from scratches and impacts. Correct storage and care of each product will help maintain the appearance of your piece for a prolonged time period. Do not store in areas of high temperature, high humidity or unventilated areas. At KHROMIS, we are committed to providing our customers with great quality products at accessible prices. Our products are sold in limited quantities. We have done our best to display our items as accurately as possible on the Site. Please be aware that slight variations in style, colour, size, shape and look may occur. If you are not satisfied with your purchase, please review the “Return” page for further assistance. We accept Visa card, MasterCard card and American Express card supported by Stripe. We take payment from your card at the time you place the order on our Site. All cardholders are subject to validity checks and authorization by the card issuer. If the issuer of your payment card refuses to authorize payment to us, we will not be liable for any delay or non-delivery.